Chiarugi #2, 47mm Brass metal staple, Mack++ shape with "Transparent thread" but regular nylon thread in Gold and Yellow are also available. Reeds are very stable in good quality, thank you Mr YAU. 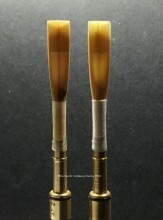 It is more powerful & focus than the cork #2, thank you for letting me try on your reeds too, see you again in September. 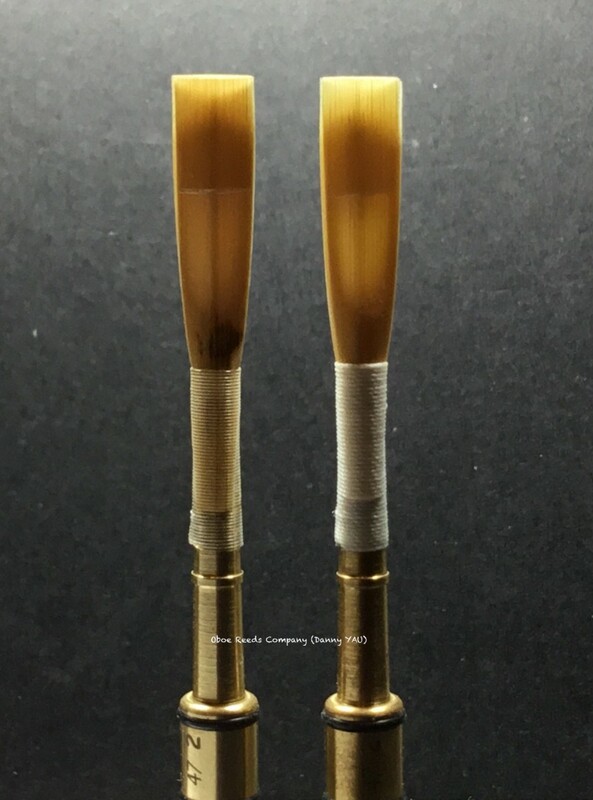 Click the button below to add the Custom Reed (Chiarugi #2 metal) to your wish list.